Whether it's our Colan Products Carbon weave, our QR identification codes or the signature Line, we've refused to equip our boards with anything but the most finely-sourced assets. Unique to Chilli Surfboards, Chilli's carbon weave is designed with Colan Products Australia to create the perfect combination of strength and performance. We wanted to keep the natural flex through out the tail so you feel your board and its connection to the wave face, so we strategically ran the stripes of carbon fibre horizontal to the tail's rail line. Blended with standard four ounce weave with a strand of carbon fibre each centimetre, it's proven to be the perfect protection for our boards. Welcome to Project Black, the creme of surfboard research and development. 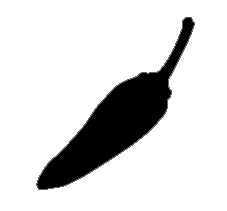 Project Black is a Chilli initiative to put potential new models in the hands of our team, for testing in all conditions. 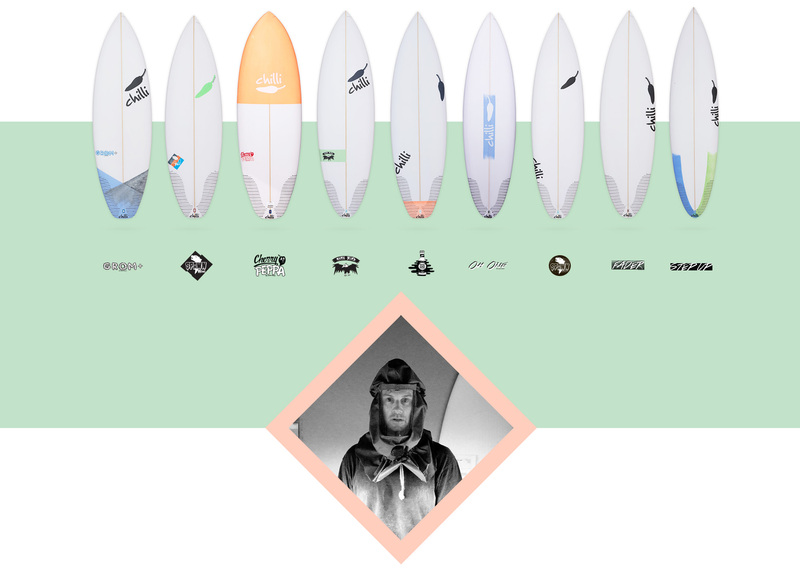 The best surfers giving the best feedback, which we can then use to refine and create a better product for you. A Project Black board can have any shape or design. Chilli experiments with concave, vee bottoms, rockers, outlines, rails and tails as well as materials, Innegra S Cloth, Carbon Fibre and different density surfboard foams. We don't release anything we're not completely proud of, so the process for getting a board market-ready is a careful one. We've designed our own special weave of new technology, using four-ounce fibreglass and Innegra S Cloth for strength. We've run six strands of Innegra S fibre woven into the cloth on each side of the board, straight up from the side fin boxes. Two more strands up the stringer make 14 strands total. This is the perfect amount of strength vs flex. We tried and tested this a lot with team rider Jay Davies. Jay is 6'1 and 90kg of raw strength, known for being very tough on his boards. After using Innegra S Cloth we've reduced his breakages by 80 percent.